In order to allow seniors to continue living at home independently, it is essential to be able to detect the early warning signs of vulnerability before a fall. Once an elderly person has had a fall, it is then likely that they will no longer be able to live alone at home. 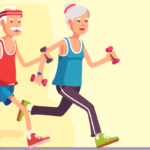 Detecting a deterioration in a senior’s activity is helpful not only for their relatives, but also for professionals such as the managers of seniors’ residences. In this way, they are able to provide more support if needed. The goals are multiple: to act before a fall, reduce the risk of falling and prevent isolation. Having just returned from the Mobile World Congress in Barcelona, the Toulouse-based start-up Telegrafik has revealed its ambition to scale up this year by becoming a Smart Care player. ”Our technologies have proved their worth and since our inception in 2013, we have implemented sixty projects which have been validated by our partners,” says company president Carole Zisa-Garat. “It’s time for us to scale up, structure our sales team by hiring four new sales representatives in the second half of the year, and seek new partners.” And presumably also to have a second fundraiser. The first took place in early 2017 and enabled the company to launch its initial solution, Otono-me, a warning and vigilance system for vulnerable people. 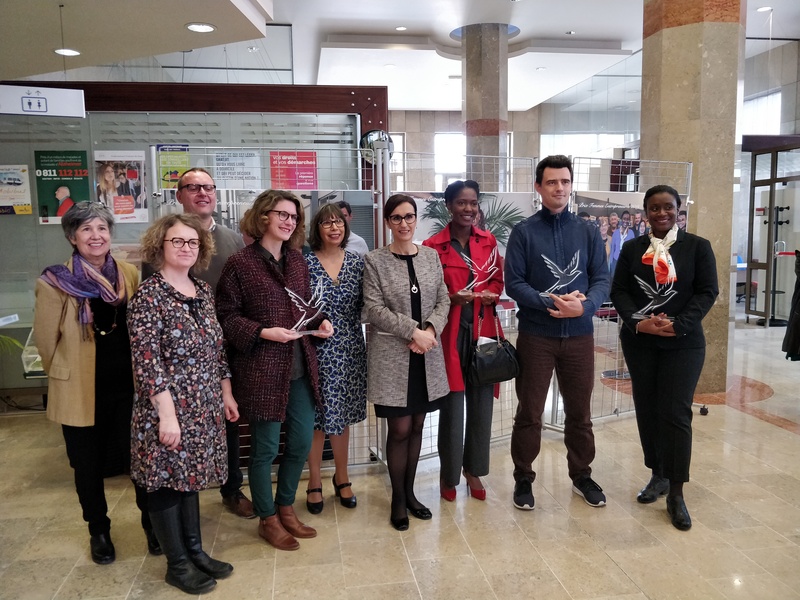 On International Women’s Day, the Mayor of Colomiers awarded the 2019 Woman Entrepreneur of the Year Award to Carole Zisa-Garat. For this edition, the Gender Equality Advisory Committee of Colomiers has chosen to promote women’s entrepreneurship. This award recognises Telegrafik’ s societal approach and its commitment to gender equality. 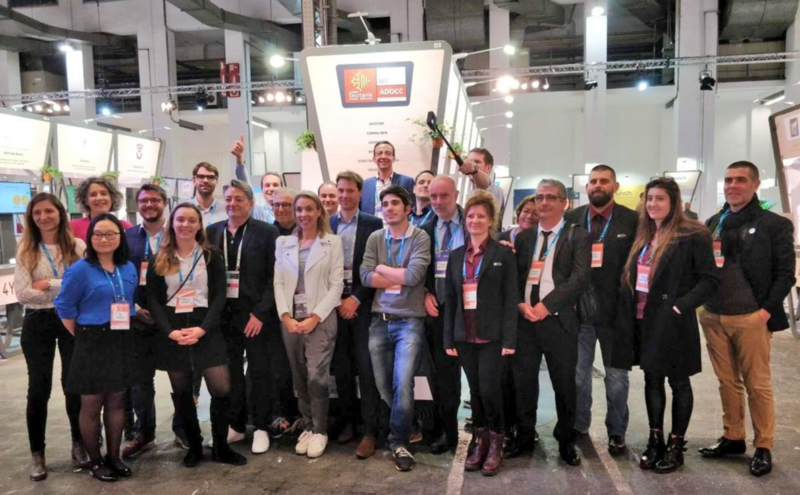 Mobile World Congress 2019: thank you to everyone who visited our booth! Telegrafik was at the 4YFN 2019 start-up event at the Mobile World Congress in Barcelona, to launch its two new solutions, Otono-me One and Otono-me Five (learn more at www.otono-me.com). Many personalities including the Catalan delegation accompanied by Nadia Pellefigue, vice-president of the Occitania region and responsible for economic development, higher education as well as research and innovation, had the opportunity to visit our booth and discover our solutions for ageing well at home, in seniors’ residences or long-term care homes. The result? A great event for the Telegrafik team with many international contacts attracted by the Otono-me solution and the Telegrafik intelligent data analysis platform. Until now, Telegrafik has evolved by providing its’ Otono-me service in the heavily regulated telecare market, making everyday life safer for the elderly as they lose their independence. The company announces the launch of two new products during the Mobile World Congress 2019, bringing Otono-me to the General Public. 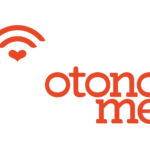 During the Mobile World Congress, held in Barcelona from 25th to 28th February, Telegrafik announce the launch of Otono-me One and Otono-me Five, establishing their entry into the General Public smart home market. 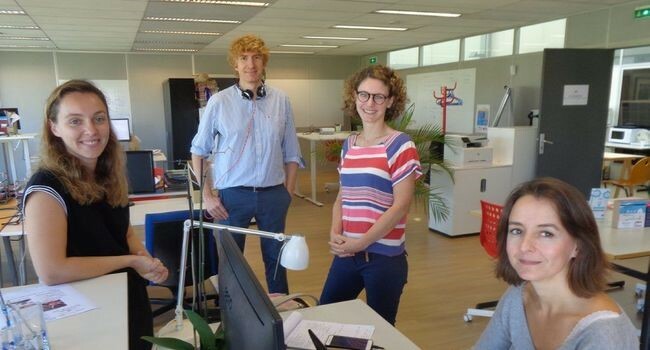 Specialists in services relating to keeping elderly people at home and monitoring patients, the Start-Up Telegrafik launches their first “Nursing Home at home” in a few days. Founder Carole Zisa-Garat gives us more details. 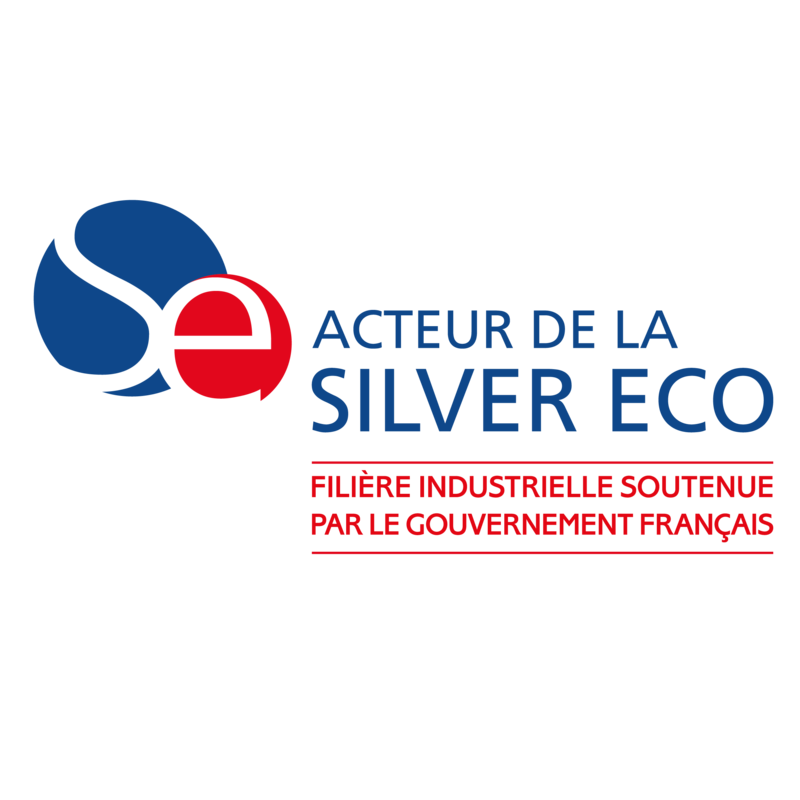 The Silver Economy sector was relaunched on 22 October 2018 by Agnès Buzyn, French minister for Health and Solidarity. This was when the minister entrusted France Silver Eco to redraft a roadmap of the Silver Economy for the next two years. The aim: speed up the process and put operational plans in place to broadcast potential practical solutions for vulnerable persons and their relatives as effectively as possible. Bring all active parties together. Facilitate the market release of existing services, making them known to the General Public more effectively. 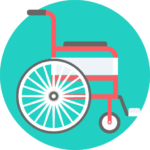 The Nursing Home at home is a device allowing dependent elderly people to benefit from the technology available in Nursing Homes in the comfort of their own. The aim: allow people to continue to grow old in the comfort of their own home in complete safety, preventing potentially dangerous situations. In fact, the desire for care at home is shared by seniors and their carers, but also by the State, as shown by the French Act on adapting society to an ageing population (ASV), from the 28 December 2015, which places an emphasis on care at home for the elderly. 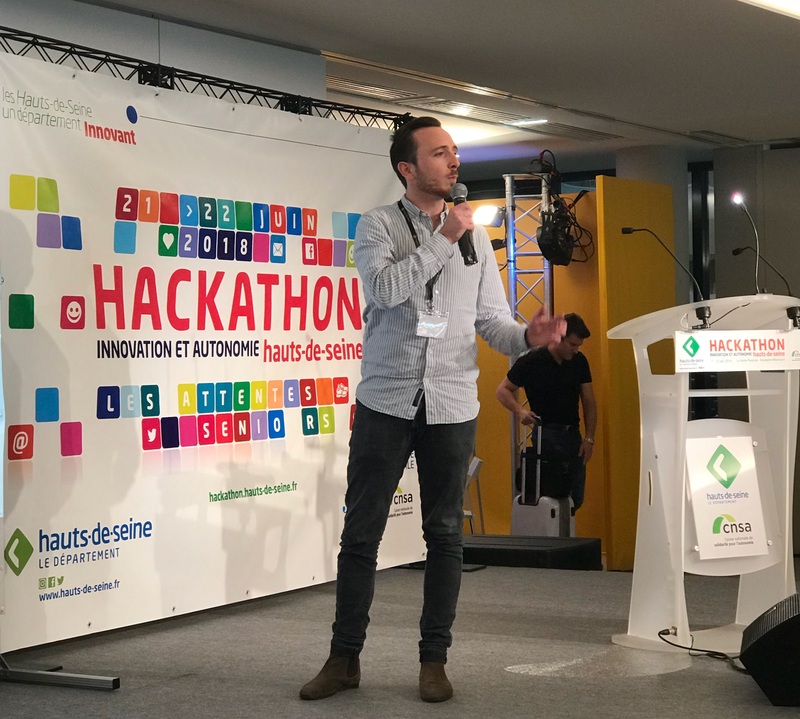 Launched in 2015, the 3Pegase consortium, grouping together 6 industrial entities, has been working on the development of a system to prevent the loss of autonomy and to provide a follow-up service for frail elderly people. 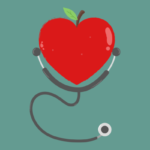 Today, 3years after its launch,3Pegase signals the end of its project, issuing a very positive initial assessment which points to a larger-scale clinical study being conducted. It was at the initiative of Telegrafik, a company specialising in home-support connected services for frail persons and in patient telemonitoring, that this project was created. One objective: to provide frail elderly persons with a secure environment and to be able to monitor them more efficiently when they returned home after a period of hospitalisation. It was in the context of the Easy Novcall for projects with the Midi-Pyrénées Regional Council, that the Gerontology Unit at the Toulouse University Hospital, the Toulouse IT Research Institute, Orange, Telegrafik, Telemedicine Technologies and Serena joined forces within aconsortium to implement the 3Pegase project (Predictive Platformfor Elderly People and Assistance). Its main aim was to propose a monitoring solution for patients at home. 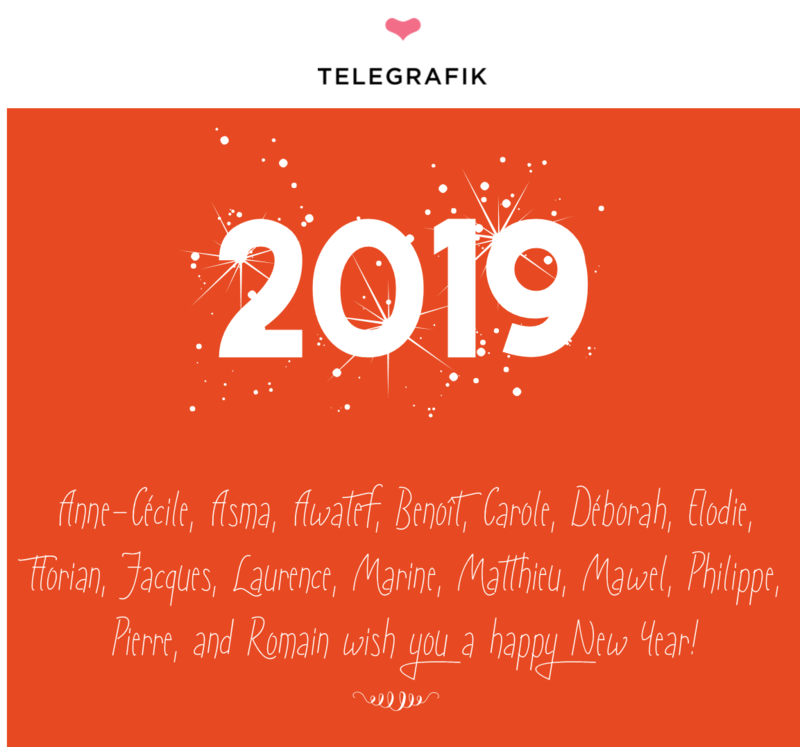 Telegrafik team wish you an excellent New Year 2019! Alzheimer is a progressive disease particularly causing memory, thought and behavioural disorder. More often than not, the signs of the disease appear slowly and evolve over time. 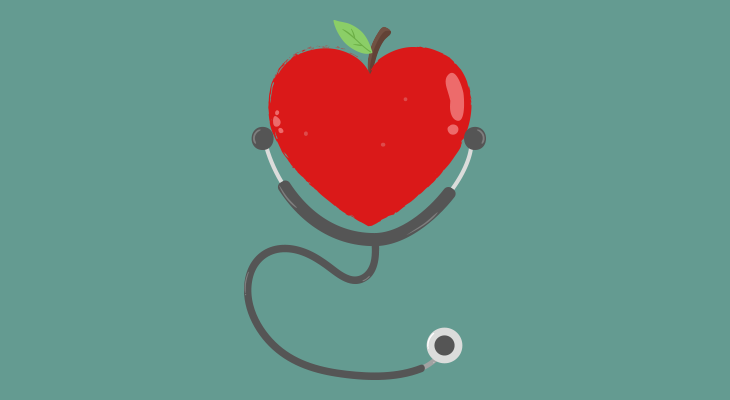 Depending on the patients, the disease can develop more or less rapidly, usually over 5 to 20 years. 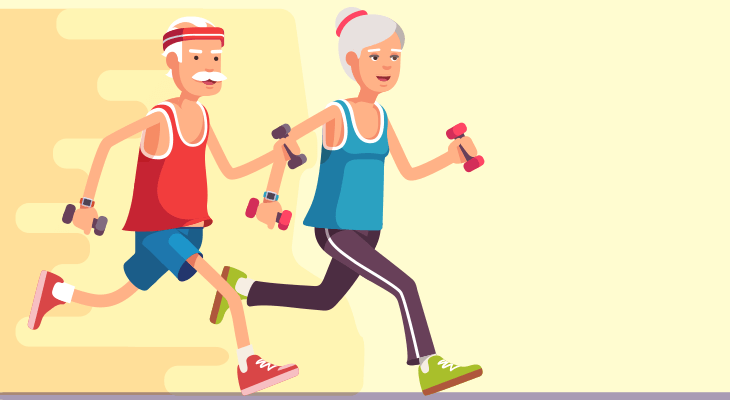 While the people suffering from the disease are invariably over 65 years of age, it should be noted however that it is not exclusively linked to ageing. The onset of Alzeimer’s can be earlier, often between the ages of 40 and 50 for some 5% of people suffering from the disease. The French population is continuing to age. INSEE (the National Institute of Statistics and Economic Studies) revealed that by 2050, one person in three will be over 60 . The people who will reach the age of 60 by 2050 are all already born. Longer life expectancies will only continue to increase in the years to come. The existing solution for providing safety for elderly people at home is remote assistance with a call button. It means that they will receive assistance if they suffer a fall or are taken ill, for example. Unfortunately, elderly people sometimes refuse to wear their call button or don’t activate it in the event of an accident. FALLS IN SENIORS: WHAT ARE THE SOLUTIONS? Hard, soft… there are so many qualifiers when it comes to talking about falls in the elderly depending on whether the person falls suddenly or slips against a wall or leans on a chair before falling. These falls affect one in three seniors over the age of 65 each year. Telegrafik announces its collaboration with Telemedicine Technologies SA, a collaborative software publisher in e-Health and leader in the field of Clinical Research. 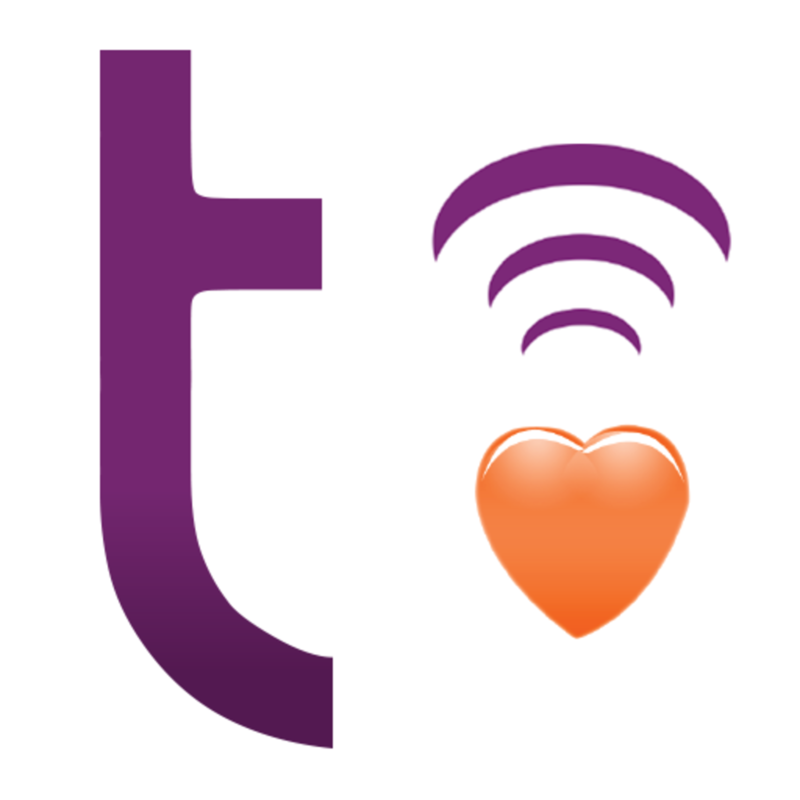 After a successful first collaboration as part of the 3PEGASE project to monitor vulnerable elderly people living at home and prevent their loss of independence, Telemedicine Technologies and Telegrafik are sealing their partnership. Telegrafik’s intelligent sensor data analysis platform is now linked to Telemedicine Technologies’ CleanWEB solution and integrates the TECH-Alliance. Through this partnership, Telegrafik can make its cutting-edge data processing and algorithmic expertise available to Clinical Research via the CleanWEB platform. Some members of the successful Telegrafik team around CEO Carole Zisa-Garat./ Photo DDM. 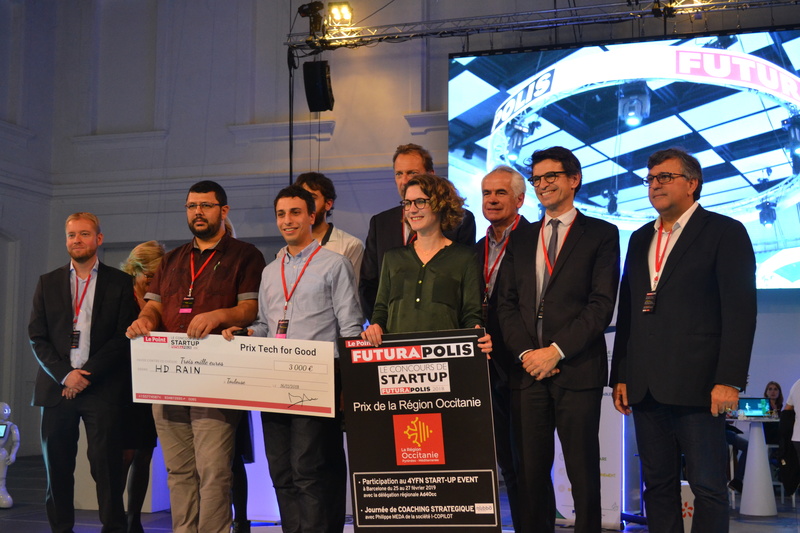 Having already won the BPI France Digital Innovation Contest in 2017, the Colomiers-based start-up Telegrafik has just received the Futurapolis Le Point Contest’s Connected Objects Award. This distinction rewards a recent but convincing solution for independence among the elderly. Thanks to the Otono-me remote assistance service, the start-up uses artificial intelligence to serve human well-being. A caring attentiveness that detects anomalies and alerts the elderly person’s relatives or the emergency services if necessary. Sensors installed in the rooms of the elderly person’s house alert an operator, in a monitoring centre 24/7. Thanks to an intercom, a verbal exchange can even take place without the person being able to reach a telephone. At the end of 2016, there were about 728,000 people in France living in EHPADs, for a total of 6,884 registered EHPADs. 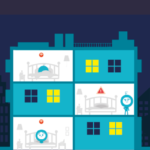 In addition, an EHPAD resident has an average of 2 falls/year and 50% of nocturnal falls go undetected. Finally, the longer a resident spends on the ground, the greater the “post-fall” associated pathologies and the costs to the community. In this context, an independent assessment of great methodological reliability was carried out in the Limousin region on 550 patients for 3 years. 3 EHPADs were equipped with the solution in two parallel groups: a group of equipped patients and another unequipped group. The Point Futurapolis innovation festival surveys innovative companies with high growth potential every year! In this year’s edition, the spotlight is on Internet of Things, Artificial Intelligence, Data Processing and Cyber Security. This prize rewards the work of Telegrafik who strives every day to bring the latest innovations of Internet of Things to the service of aging well at home and in institutions! 82%: the percentage of seniors who are fully satisfied with the life they lead1. How old do you have to be to define yourself as a “senior”? Seniors define themselves as such from the age of 641. In comparison, in 2017, individuals defined themselves as “seniors” from the age of 67. In general, people over the age of 55 feel like seniors once they retire. As long as they are still working, only 24% fit into this category of the population. Senior residences are accommodations for autonomous, non-disabled or semi-disabled people who are over 60 years of age. This type of accommodation is an excellent way for seniors to break the isolation by fostering social relationships while keeping their autonomy. The staff of the residence accompany the residence’s seniors on a daily basis. Their mission: organize activities for the residents and support them when needed. The telecare company Tavie launches Tavie Otono-me, a protection system adapted to lonely and frail people. This innovative remote assistance allows them to live as long as possible in their own homes, in complete security. Along with the launch of this new product, Tavie, a French national company strongly anchored in the regions of Bordeaux and in the South of the Gironde, are hiring, and announced the signing of 2 new partnerships. 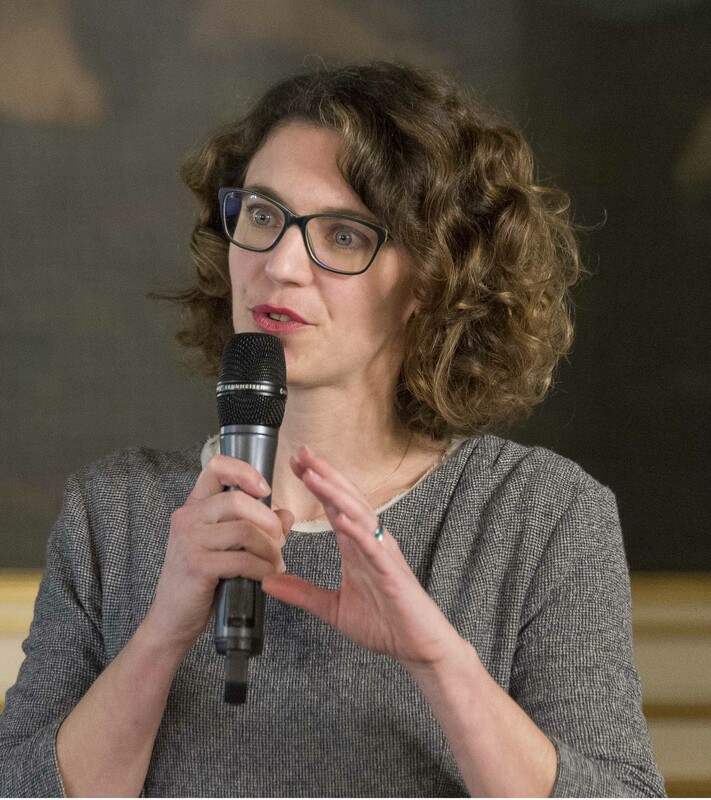 « Tavie Otono-me will contribute to the growth of our business by enabling us to meet the needs of families, who are increasingly on the look out for intelligent solutions capable of automatically detecting problems faced by frail family members»“, explains Julie Castet, president of Tavie. The solution is of particular interest for people with memory impairments, or people with Alzheimer’s disease who will not think to use their emergency call medallion. New technology will contribute more and more to home support services for elderly or vulnerable people. Here are 3 concrete examples of what it can bring. The majority of families have heard of remote assistance devices with an emergency call button to be carried on one’s person, which can be pressed for rescue in the event of a problem. These devices can now be supplemented by sensors, installed in the casing, that enable remote monitoring of activity. 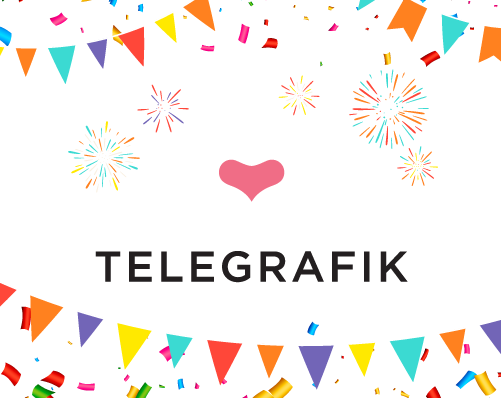 Happy birthday Telegrafik, 5 years! 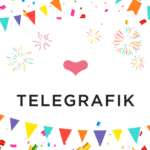 Telegrafik celebrates its 5th anniversary, the 19 September 2018! How did Telegrafik come into being? Every one of us knows an elderly person living alone at home. Carole Zisa-Garat was worried about her grandmother and wanted her to be able to live at home safely for as long as possible. This is what gave her the idea for Telegrafik! In 2013, she decided to use new technology to make it easier for elderly people to stay at home, set up the Telegrafik company and launch the Otono-me service. The service now protects hundreds of elderly people and reassures their loved ones on a daily basis. Sensors make it possible to detect any unusual behaviour patterns in an elderly person’s routine. If they fall or become unwell, an alert is automatically sent to an assistance platform, which contacts them. Friends and relatives can download the smartphone app and take care of their loved one every day. 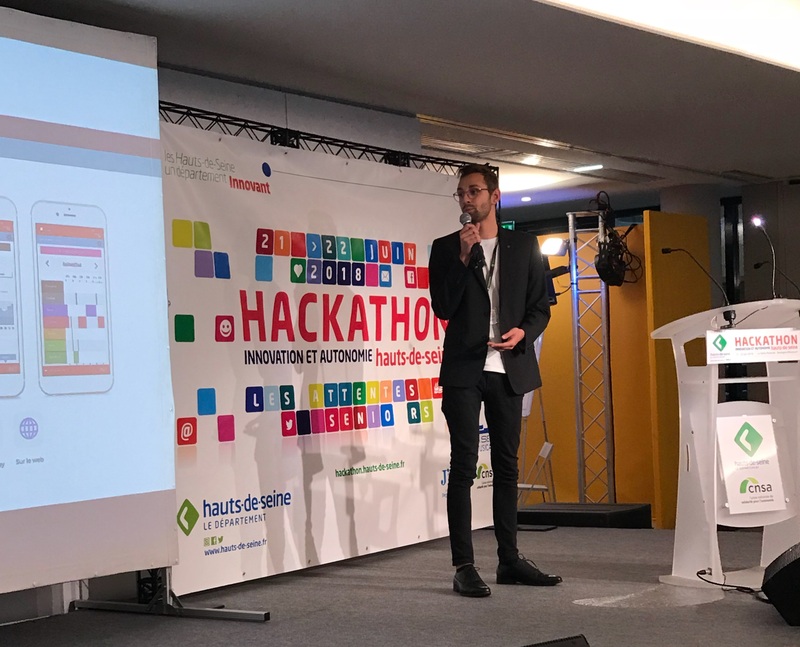 On 21 and 22 June, Pierre and Robin from the Telegrafik team proposed their solutions to the challenge of improving the quality of services offered to independent seniors! 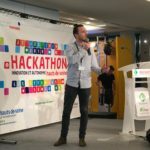 Organised by the Funding Conference of the Hauts-de-Seine department for preventing the loss of independence among elderly people, this hackathon took place in a context where a quarter of residents in Hauts-de-Seine will be over 60 years old by 2040. 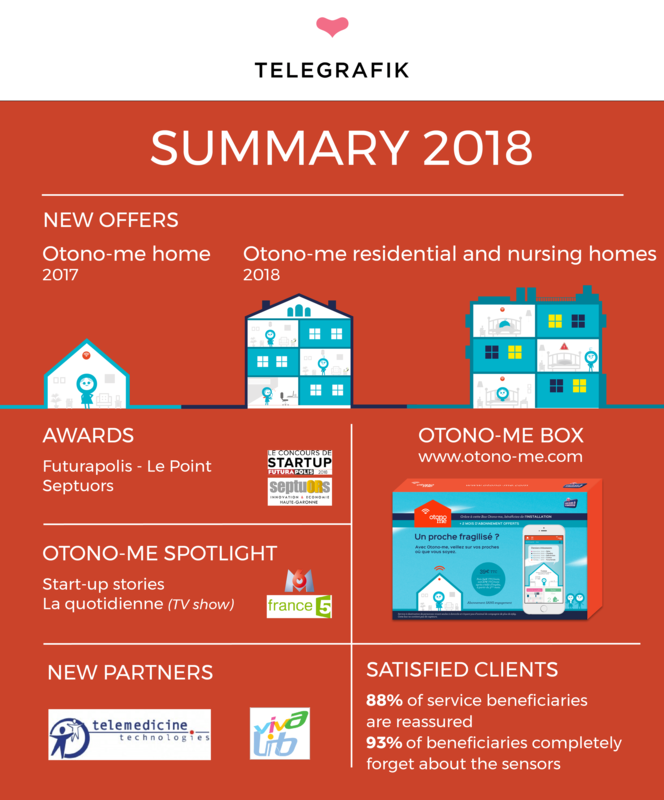 A fine way for Telegrafik to close its 2017 project conducted in Hauts-de-Seine where 50 vulnerable people living alone at home were equipped with the Otono-me service, and to consider future steps to protect the department’s seniors in 2018. 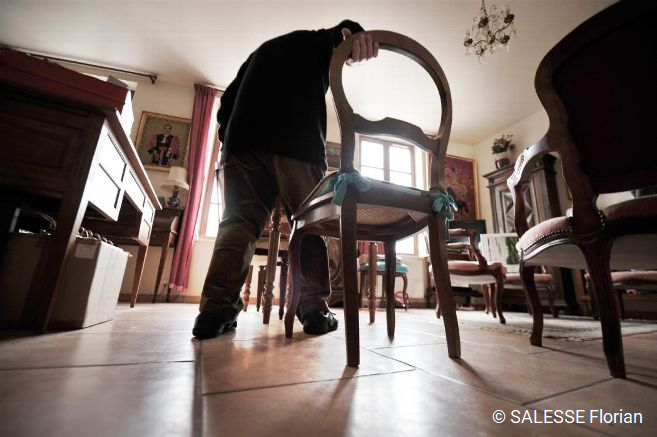 A new home care service approved by seniors in the French department of Aisne! In 2018, a hundred more seniors will be able to safely continue living at home thanks to this innovation. The Onoto-me app also brings their loved ones peace of mind. This package of services allows living spaces designers and administrators to define how they wish to change their programmes on the one hand and supports them in the implementation of these developments on the other. 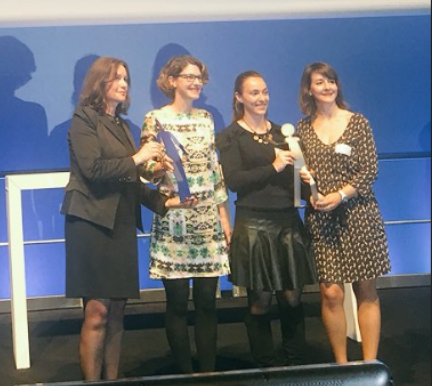 THE TELEGRAFIK OTONO-ME SERVICE WINS HAUTE-GARONNE DEPARTMENTAL COUNCIL AWARD! The SeptuORs trophy was presented to the team yesterday at the Cité de l’Espace in Toulouse, in the presence of the representatives from the region of Occitania, Toulouse Métropole and the “La Dépêche” group. 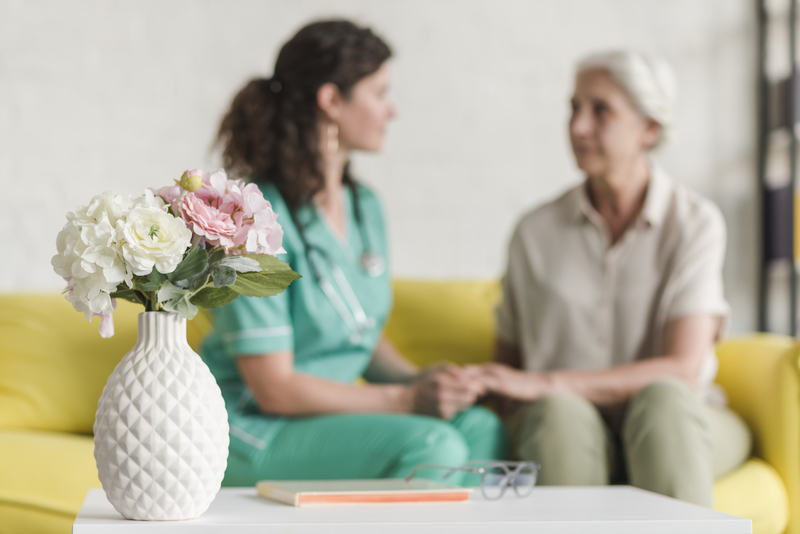 The current situation in France is increasingly conducive to the development of home care. 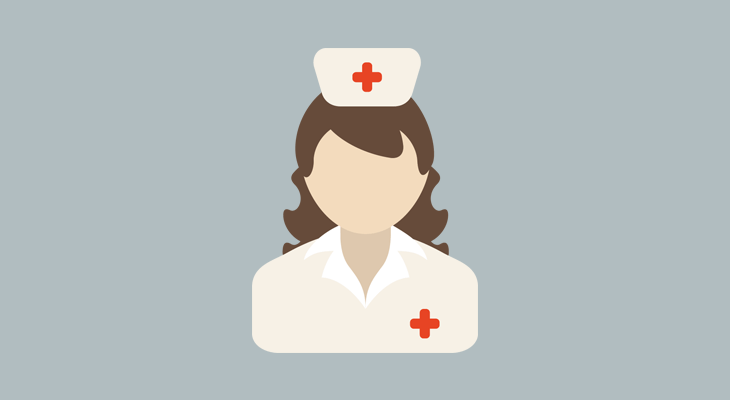 Between the shift to ambulatory care initiated by the Ministry of Health and the reduction in the average length of a stay in hospital, the role of the liberal professions, particularly nursing, has become paramount. Despite the development of this post-hospitalisation activity, 12% of hospital emergencies are due to a lack of home care… even though 350,000 health professionals (excluding doctors) in France practice in the home! Discover the new version of the white paper on the Internet of Things. 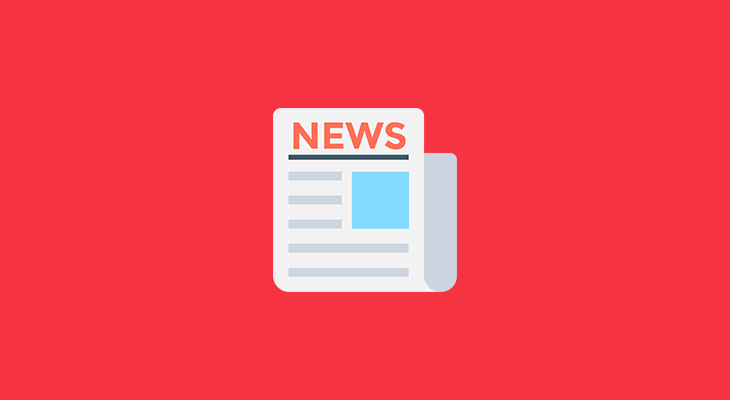 In this 2018 white paper, Telegrafik draws lessons from the launch of Smart Care’s connected services to protect vulnerable elderly people living alone, while staying in touch with their families. 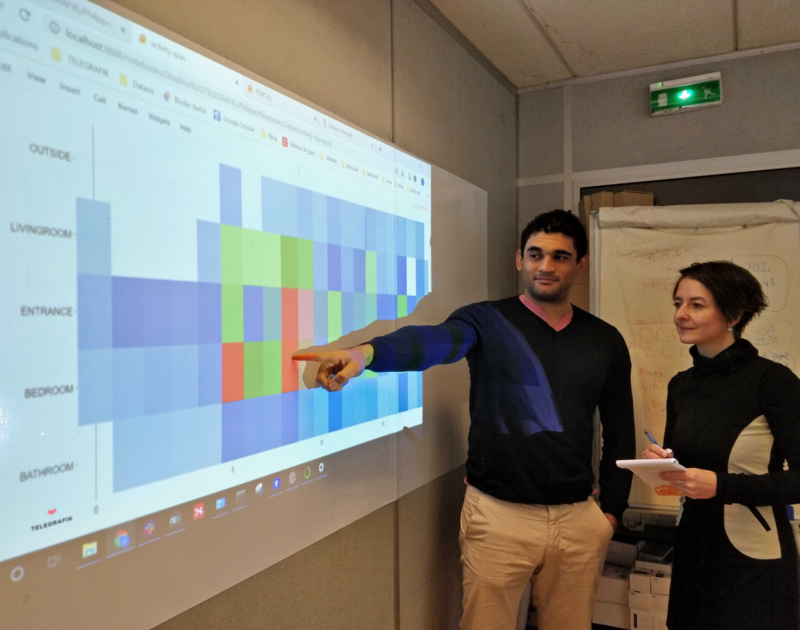 As part of a call for projects, the Funding Conference of the Ariège department has chosen Occitania-based company Telegrafik and its innovative teleassistance service, Otono-me. The goal? 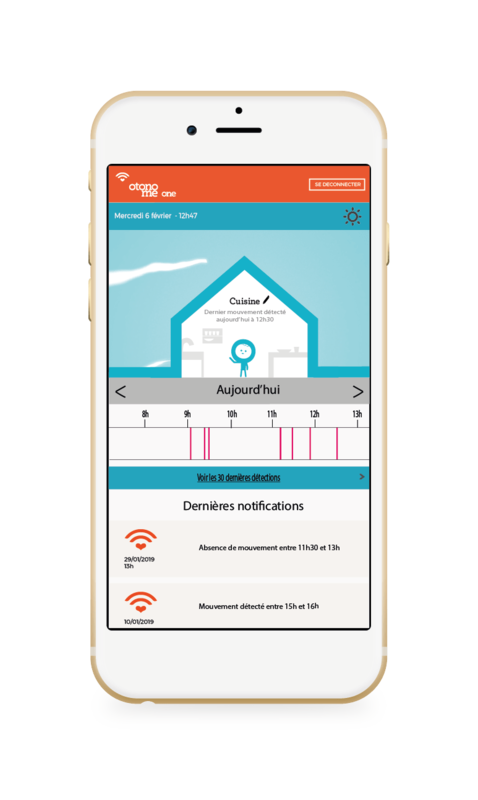 To offer 30 elderly people aged 60 and over, living alone at their homes in Ariège, to test the Otono-me service for 8 months free of charge. Remain in your home, move to assisted living accommodation for the elderly, or a retirement care home? If these questions are being asked, it is often because loss of autonomy has begun to rear its head. What elements should be taken into account in making the right decision? It is often the favoured solution with families, provided the person still has a sufficient degree of autonomy. 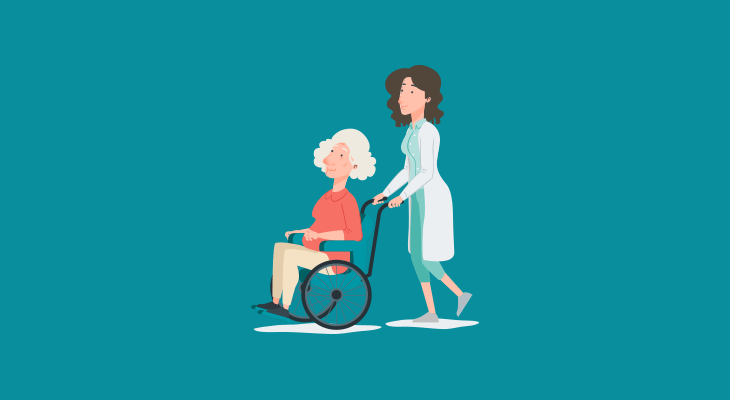 It is often necessary to call in extra help for care or housekeeping tasks that will facilitate getting up, going to bed, grooming, personal hygiene (excluding nursing care), or ensuring the preparation and feeding of meals, general domestic tasks. 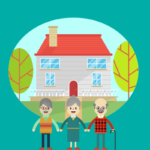 Sophia Antipolis based company, Allovie, and its partner Telegrafik are launching Allovie Otono-me, which aims to reinforce the autonomy of ageing persons in the home. This new remote assistance solution, based on motion detectors installed in the home, allows for increased safety of vulnerable people who live alone, while also keeping them in touch with their loved ones. Allovie specialises in remote assistance all over France and, for over ten years, has been a supplier of a solution, which includes a watch and a pendant allowing the detection of a variety of dangerous situations at an ageing person’s home, triggering an alarm if needed. The person is put in touch with an operator 24/7 should they suffer a dizzy spell, an accident, a fall, or simply because they need to talk to someone or be reassured. The project equipping 100 people with Otono-me in Aisne is a success! In 2017, the department of Aisne funding body launched an appeal calling for projects aimed at developing preventative measures to benefit people aged 60 or over and resident in their local territory. Telegrafik had been selected, and is now seeing a very positive outcome from the actions that were undertaken. The innovative Otono-me remote assistance service was very widely accepted by the persons equipped with the system. They remarked on having forgotten very quickly that the sensors had been installed in their home. 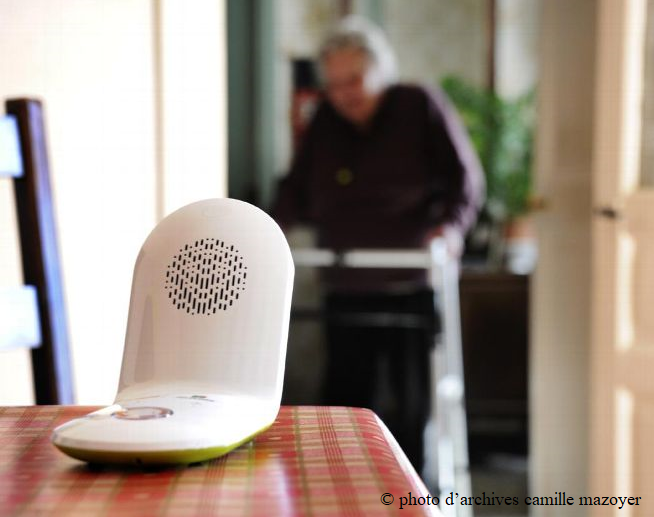 A home monitoring trial for isolated family members is looking for 35 volunteers in Loiret. Named Otono-me, this project was chosen by the Centre-Val de Loire Regional Old-Age Insurance Fund (CARSAT) and the Loiret financers’ conference. Developed by the company Telegrafik with the Filien ADMR remote care service, for 9 months Otono-me will test 4 movement detectors and 1 door sensor, in collaboration with care professionals. 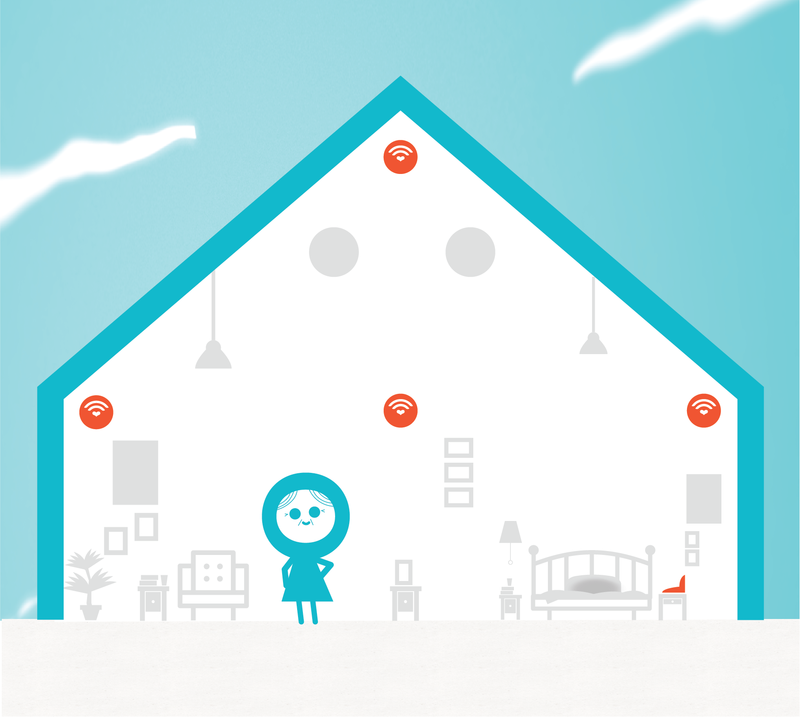 Who wants to try Otono-me, the new remote care service for the elderly? Otono-me, the remote care service for elderly and isolated people, will soon be trialled in Loiret. 35 volunteers are needed. It’s free, and it could save a life. 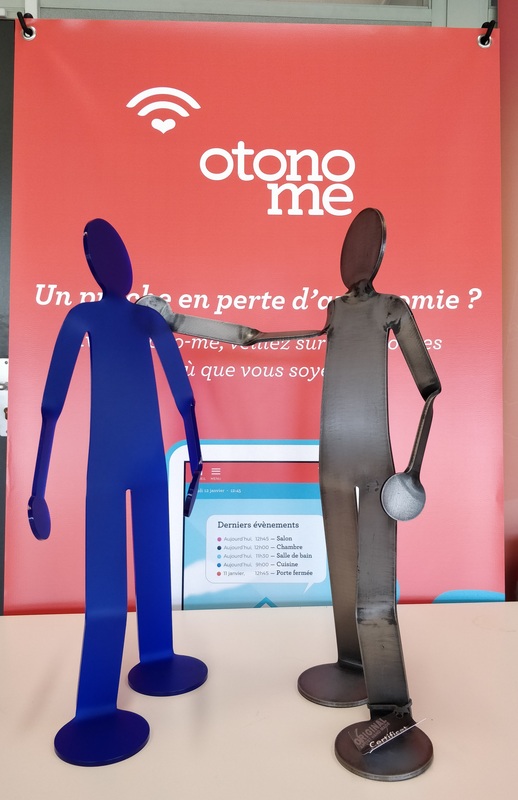 In Loiret, volunteers aged 60 and over are needed to try out the Otono-me service (pronounced “autonomy”): a device installed at home which features movement sensors and a mobile application which informs carers about a person’s activity. Knowing that their nearest and dearest are keeping an eye on them can be reassuring for elderly people living alone. That’s what Toulouse-based company offers, thanks to its Otono-me device: five motion sensors, dispersed around the house, allow for an individual’s activity to be monitored in real time. The data collected can be accessed by family members from a mobile application. In the event of an anomaly, such as prolonged absence, the system attempts to reach the resident and sends an SMS to their family members to keep them informed of the situation. 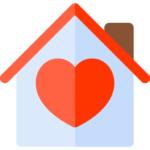 EHPAD (a residence for dependent elderly persons) is a health care facility which provides accommodation, in individual and shared rooms, for elderly persons over the age of 60 who have lost their independence and who can no longer stay at home alone. In addition to providing them with assistance in their daily lives (getting out of bed, going to bed, going to the toilet, eating, etc.) and individual medical care, this type of establishment offers services such as catering, laundry and even entertainment. In Puy-de-Dôme, 7,000 people are benefiting from remote care. In the event of a fall or illness, they are offered appropriate assistance. Not to mention a technological innovation: advanced remote care. In the event of anomaly, the transmitter analyses the data and generates alerts for the Departmental Fire and Emergency Service for the user to verify. In short, if the user is not able to press their remote care pendant, the device will trigger the alert for them. Implemented by the company Famiclic, the device named Otono-me is currently being tested by fifteen users in Puy-de-Dôme. Discover our key events in 2017!